People with the heart rhythm disorder Atrial Fibrillation (A-Fib) may have a heightened risk of developing dementia and the quality of their drug treatment may play a role a new study suggests. Specifically, researchers found, patients on the clot-preventing drug Warfarin showed a higher dementia risk if their blood levels of the medication were frequently too high or too low. Atrial fibrillation is a common arrhythmia, affecting about three million U.S. adults. The condition occurs when the upper chambers of the heart quiver instead of contracting efficiently. The condition is not immediately life-threatening but it can cause blood clots to form in the heart. If a clot breaks free and lodges in an artery supplying the brain, that can trigger a stroke. 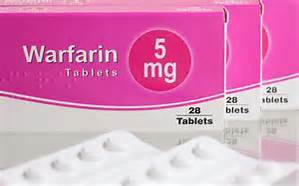 Warfarin is a tricky drug to take because people need regular blood tests to make sure their Warfarin levels are in the “therapeutic range”. Newer anticoagulant drugs including Pradaxa and Xarelto do not have the same “swings” that Warfarin does. Someone whose Warfarin doses have to be changed a lot may be better served in asking their doctor about other alternative medications.